Jordan Lee has only won two professional bass fishing tournaments in his short 26 years on earth – but both of them are Bassmaster Classic wins – and in doing so, stakes his claim as one of the most iconic anglers in bass fishing history. The younger of the Lee Brothers turned a mediocre practice into back-to-back Classic winning history. A feat achieved only by Rick Clunn and Kevin VanDam in the prestigious event’s 48 year history. “In my wildest dreams, I never thought winning the Classic was going to happen this week, and this just goes to prove you can’t really plan on winning,” says Lee, who holds a degree in marketing from Auburn. “It really is overwhelming. I’ve never won a Bassmaster Open. I’ve never won an Elite Series. So I guess there’s just something about this tournament for me,” he pondered. He never really got dialed into a pattern in practice, so he essentially “junk fished” his way to the $300,000 win with a mix of jerkbaiting while his boat sat in 35 feet of water, to skipping a soft plastic Strike King stick bait rigged Neko style around docks. His primary rods and reels on the final day were a pair of 7’ 2” medium heavy Quantum Vapor spinning rods, paired to Quantum Smoke S3 and Inshore spinning reels. “I didn’t have a game plan. I didn’t have one magical spot. I knew as warm as the weather was the docks were going to be a player, and today I saw tons of big bass suspending under every dock – it was just amazing to see that,” says Lee. 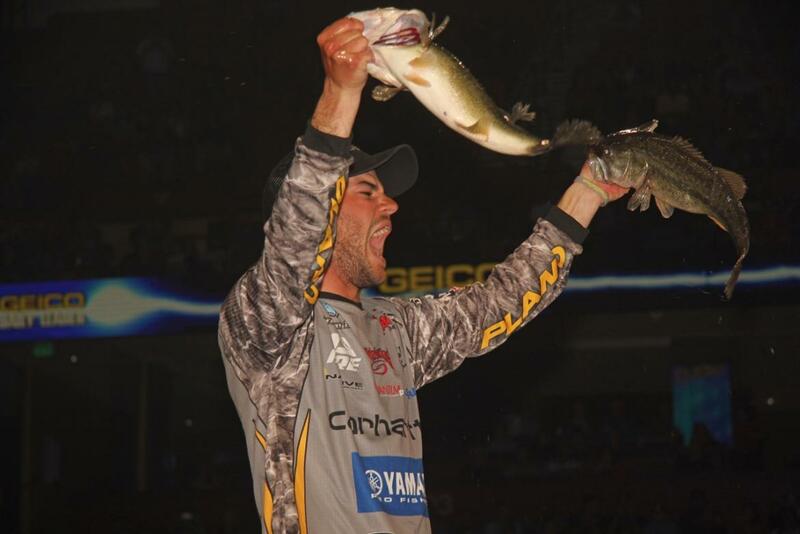 It’s also amazing to see a 26-year-old solidify himself as one of the greatest bass anglers in history, but that’s exactly what the former Carhartt Bassmaster College Series champ proved by becoming only the third man in 48 years to win back-to-back Bassmaster Classics.